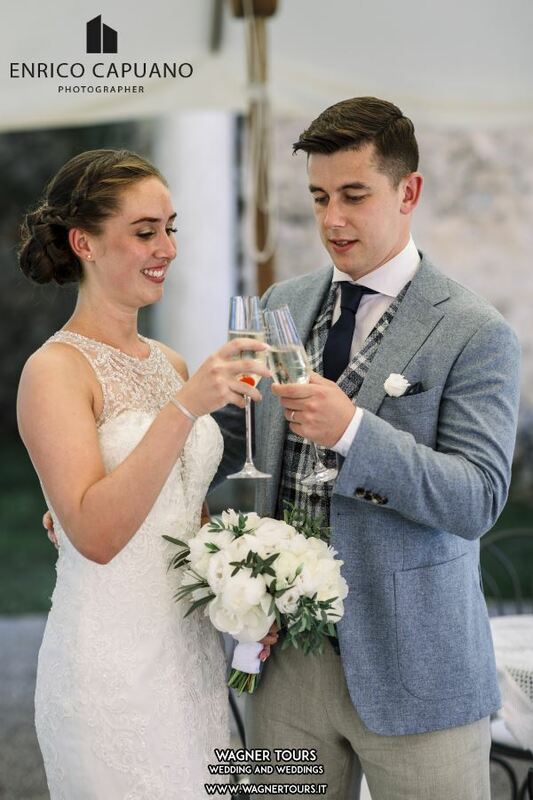 Scott and Gemma review : Unbelievably Perfect !!!! 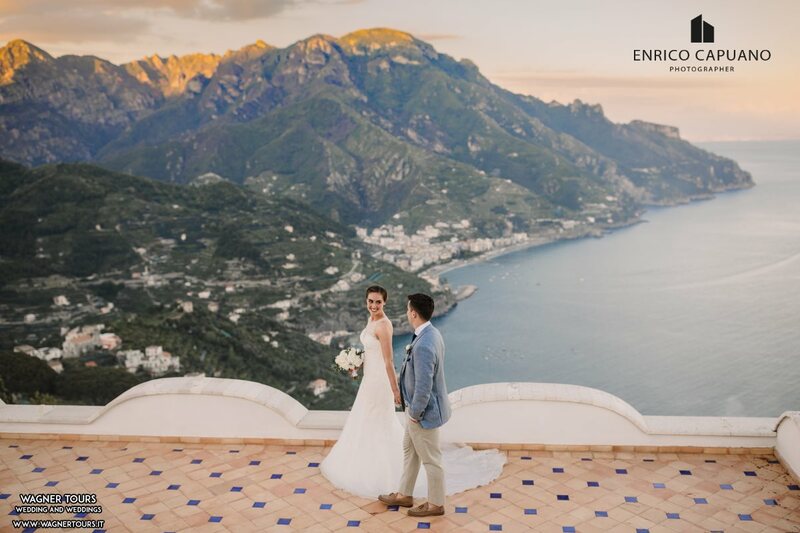 Where do I start, me and my wife have recently returned from the magical Ravello for our wedding at the stunning Villa Eva. 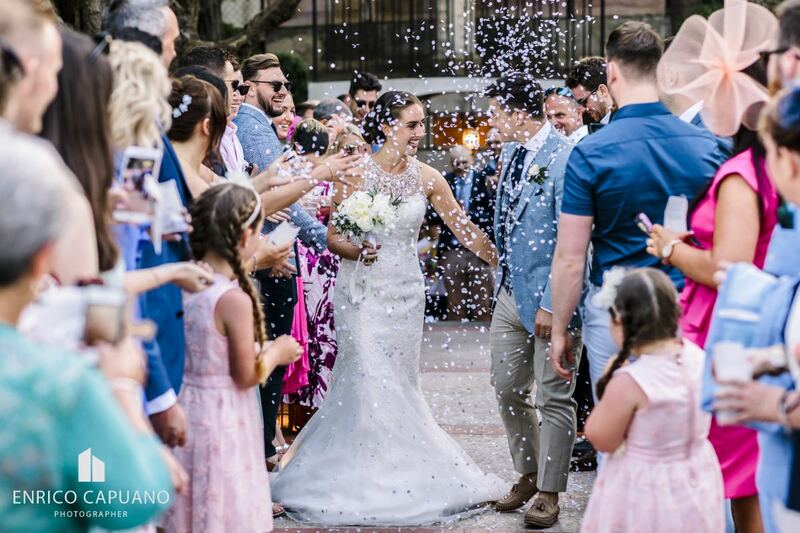 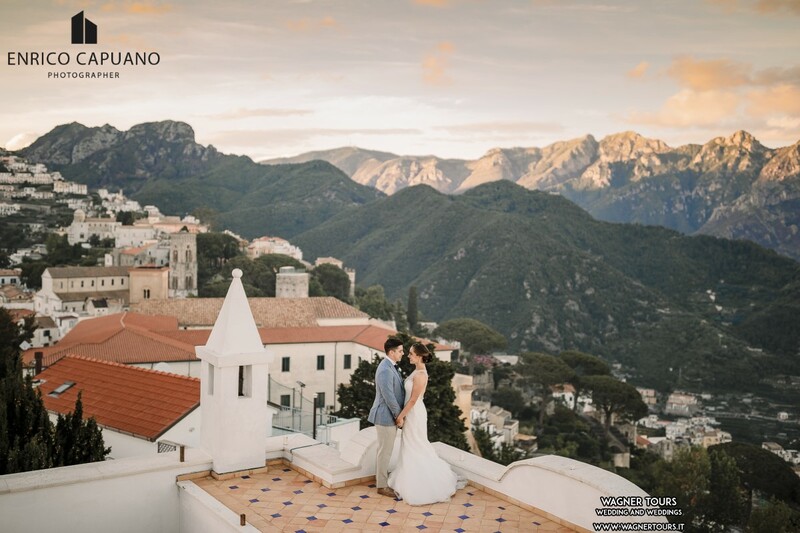 Mario Capuano Wedding Planner & Annamaria Staiano Wedding Planner were literally perfect for us, replying to emails throughout the year within 3 hours even though we were on completely different time zones. 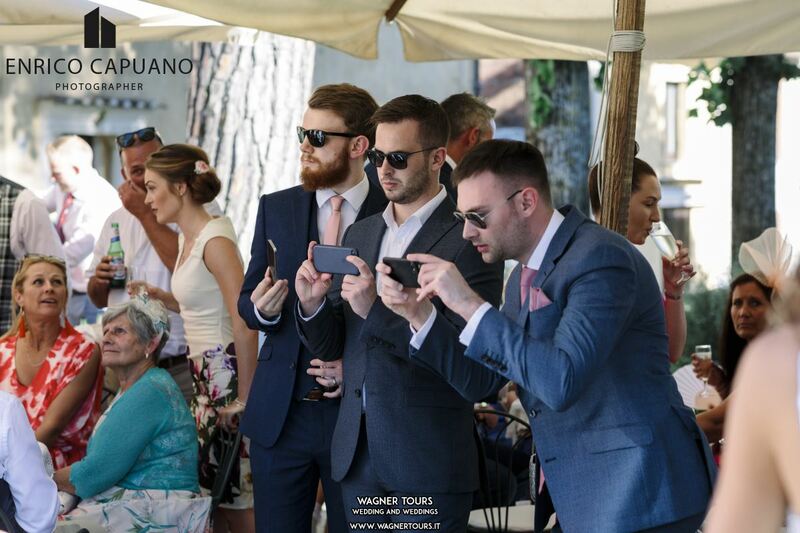 Mario kept us up to date almost every day with the total cost etc so we were never surprised when we had to pay for something, literally exactly what he sends you is exactly what you pay and going abroad I know that can be rare! 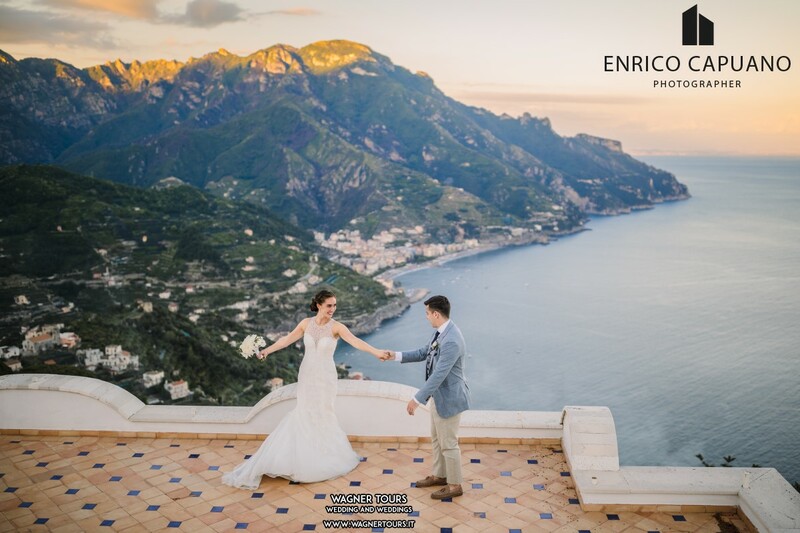 We were lucky enough to go to Ravello in January for a run through and we couldn't be happier we did, we got to see the villa and with the views in Ravello and after speaking with Mario face to face we knew we had made the right choice in hiring Wagner Tours. 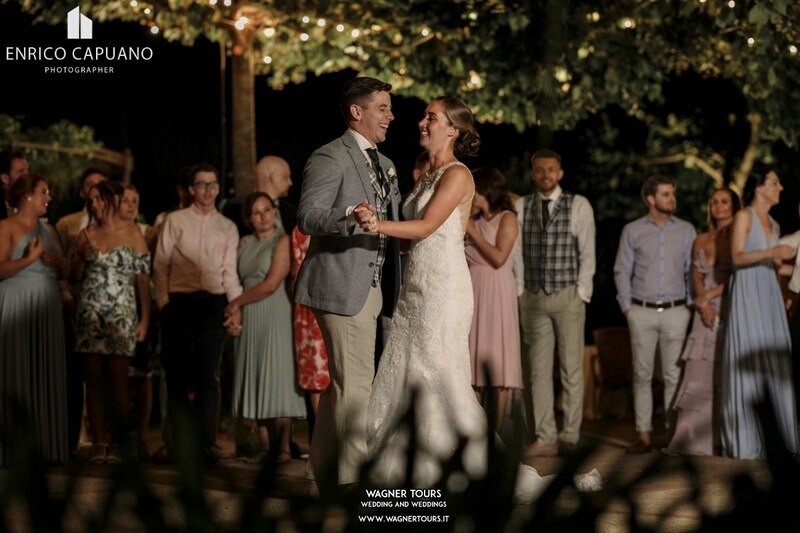 A few days before the wedding Mario and Anna Maria give you a run through of the whole day with a timeline and locations. 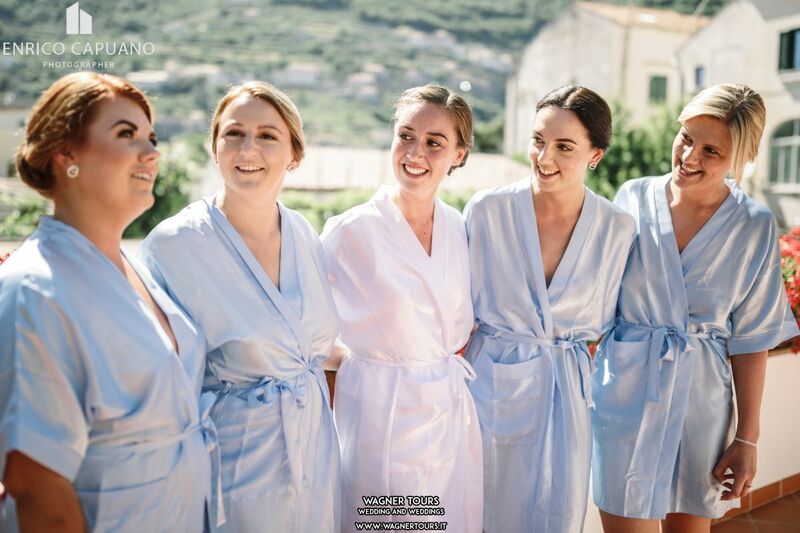 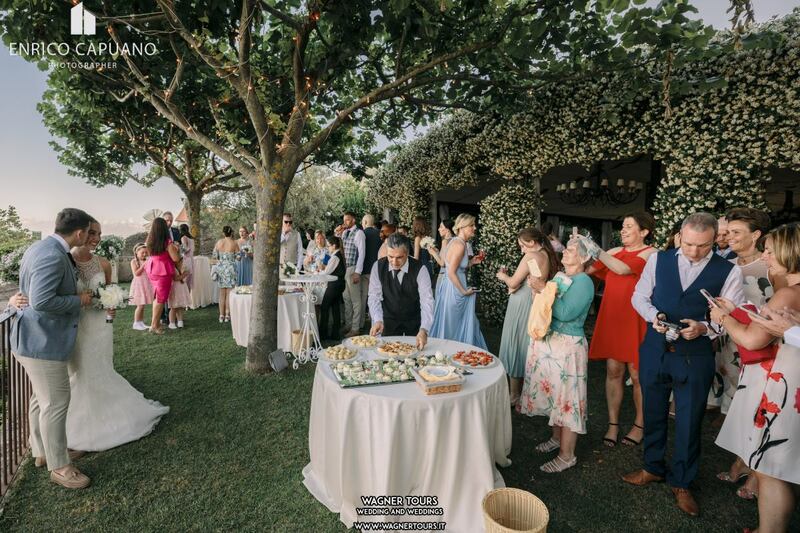 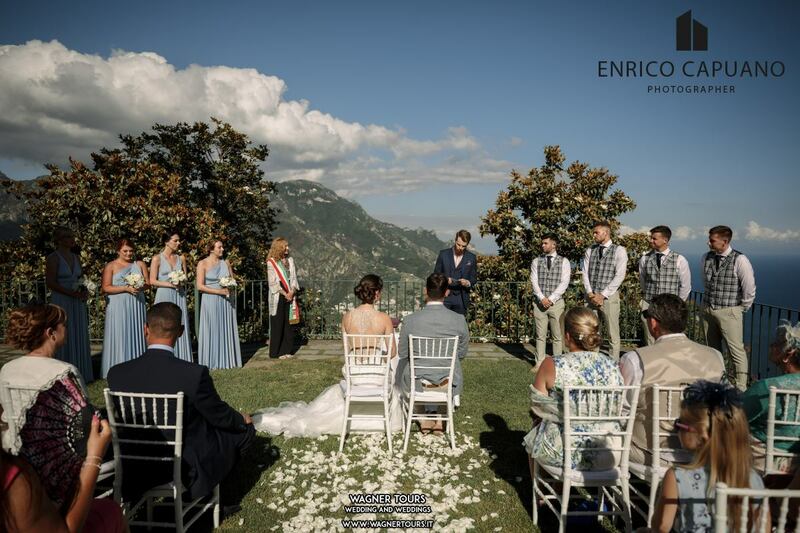 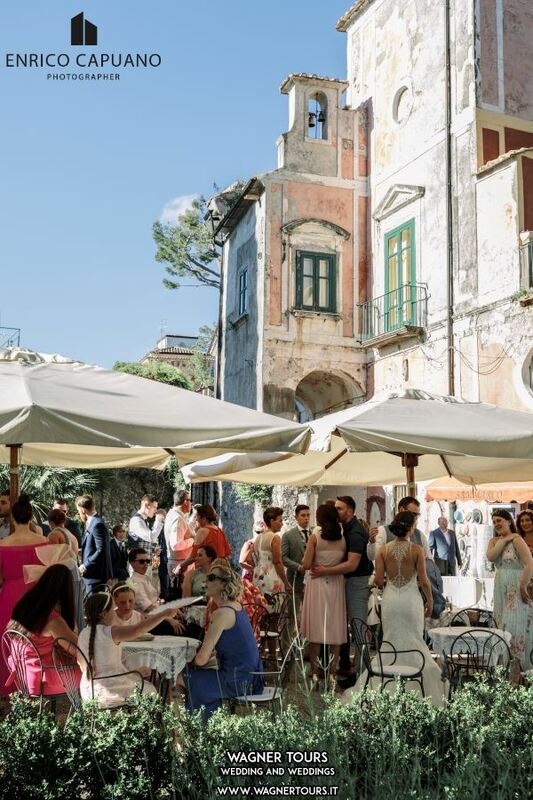 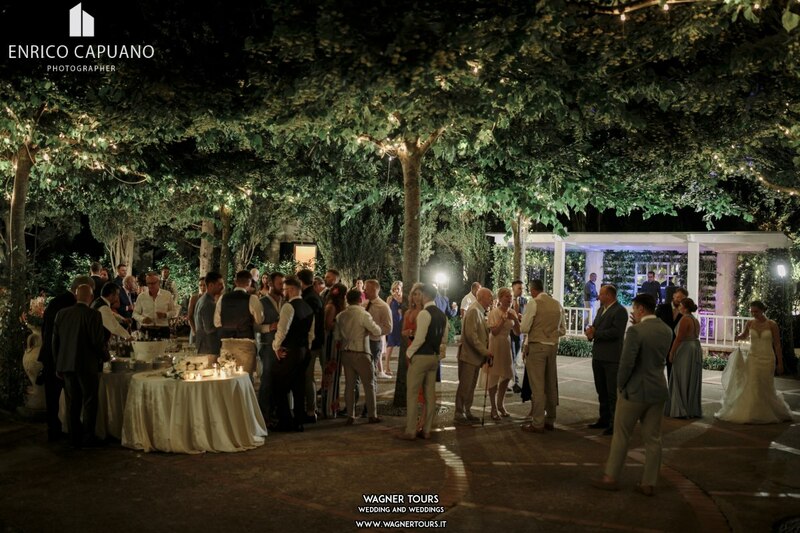 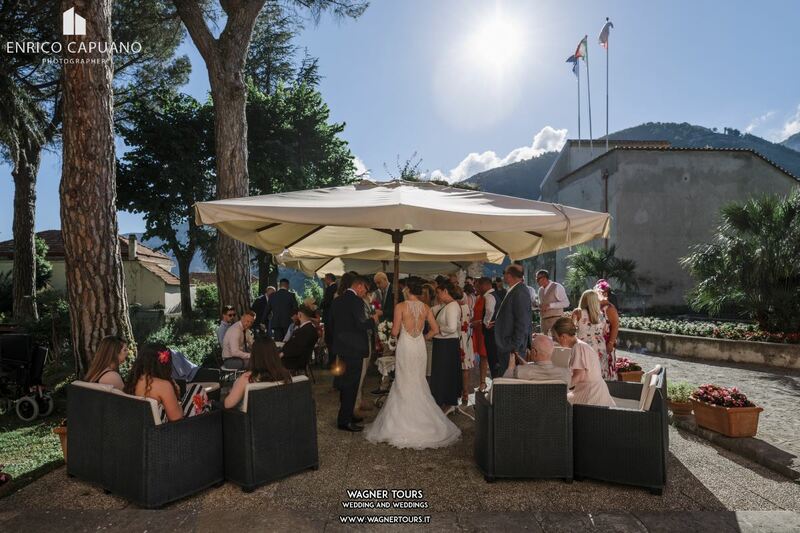 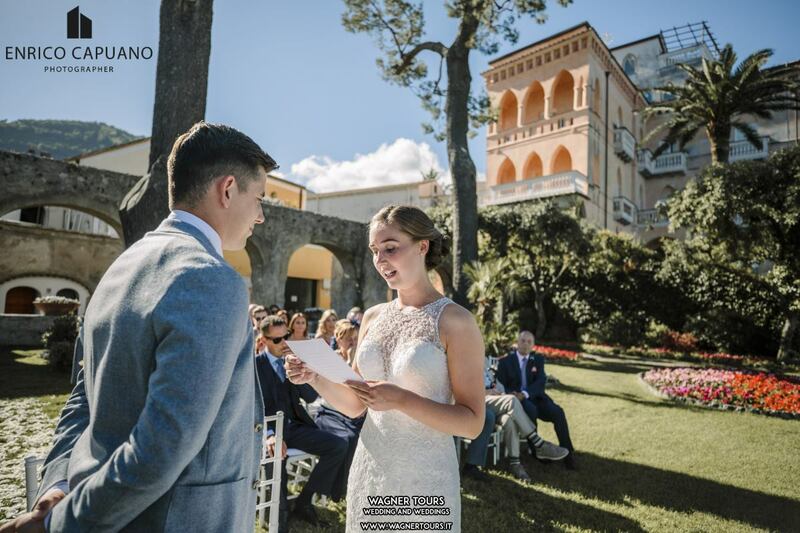 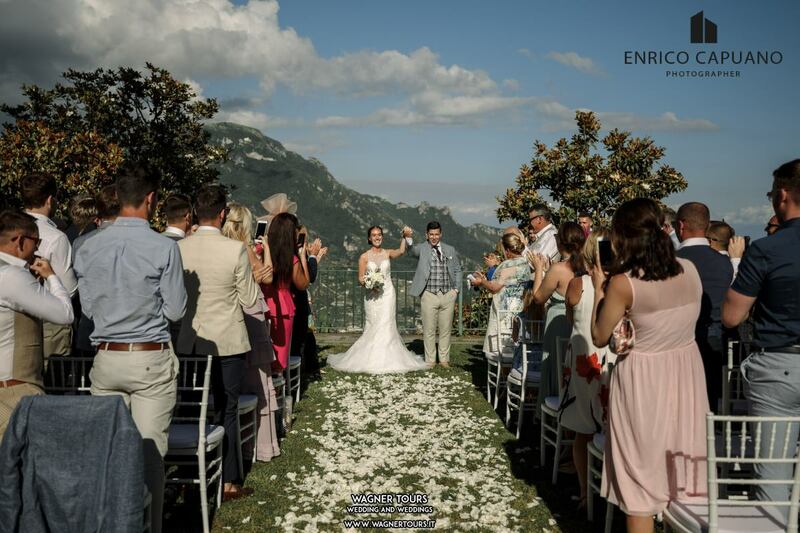 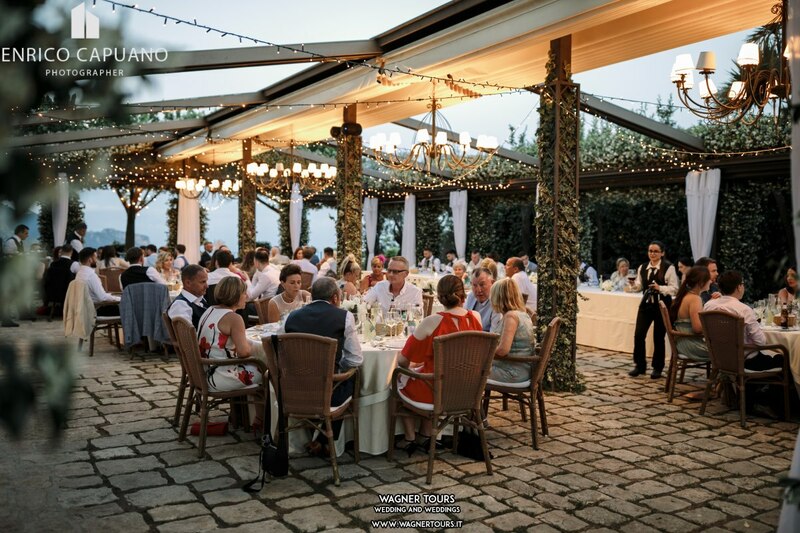 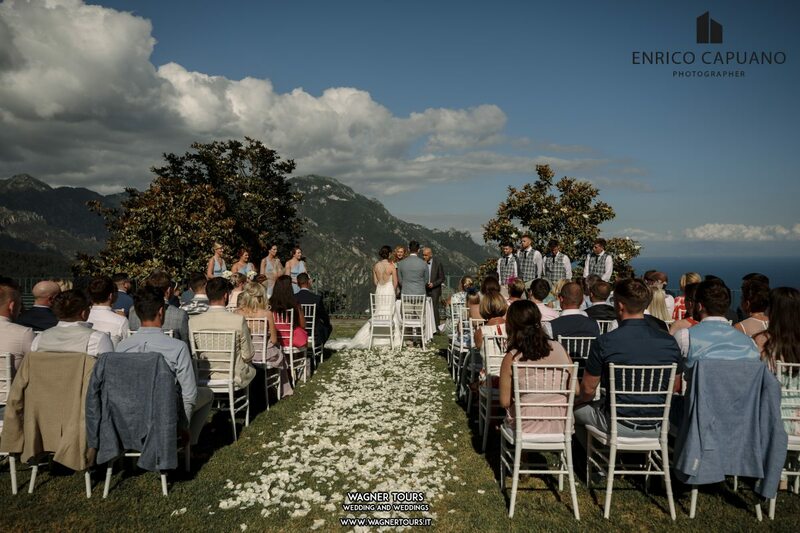 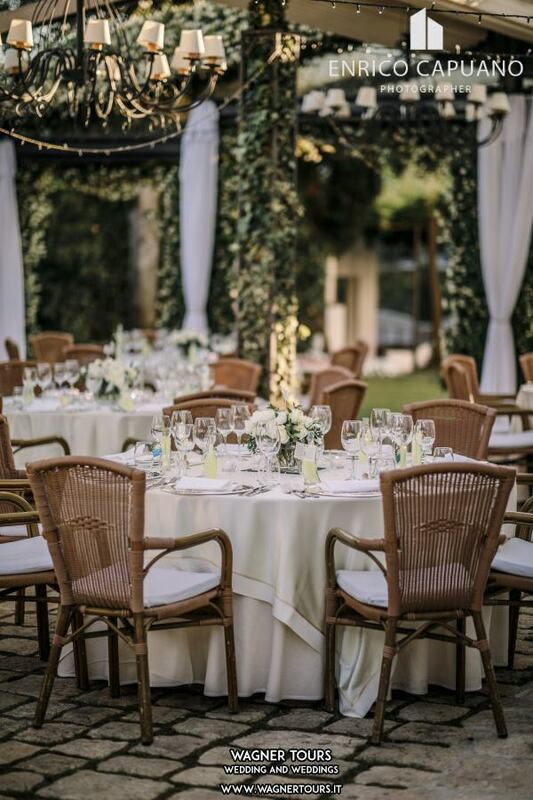 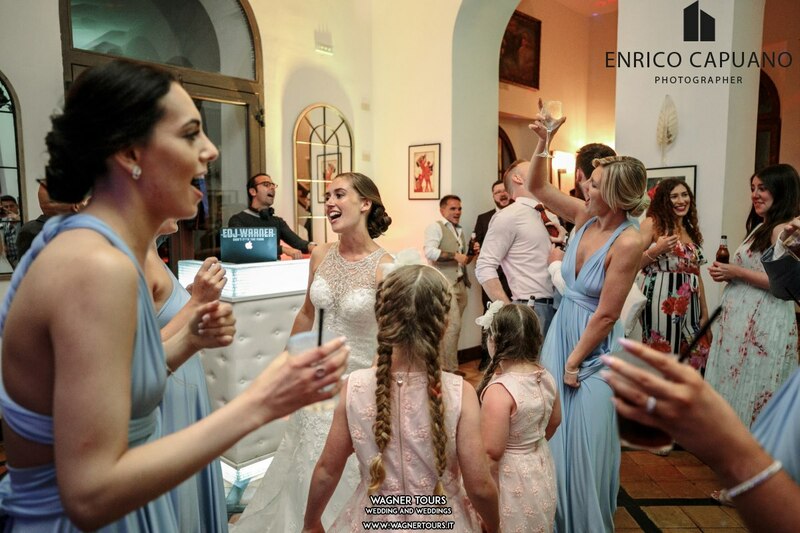 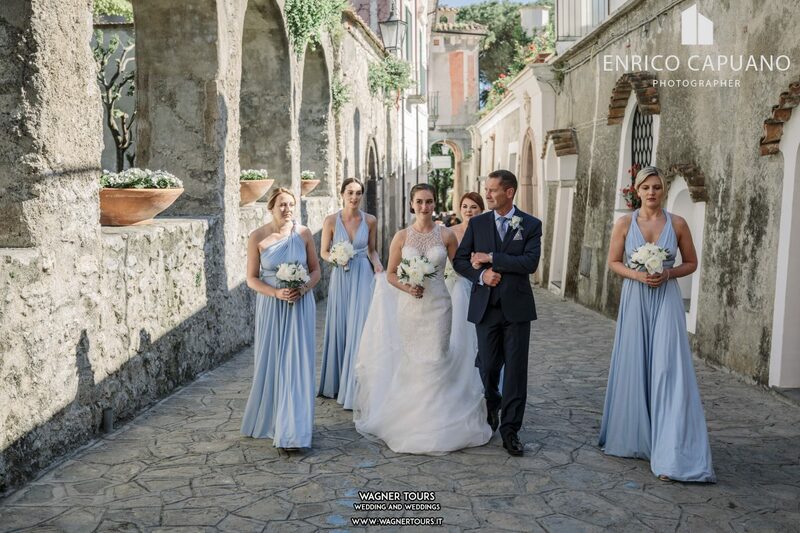 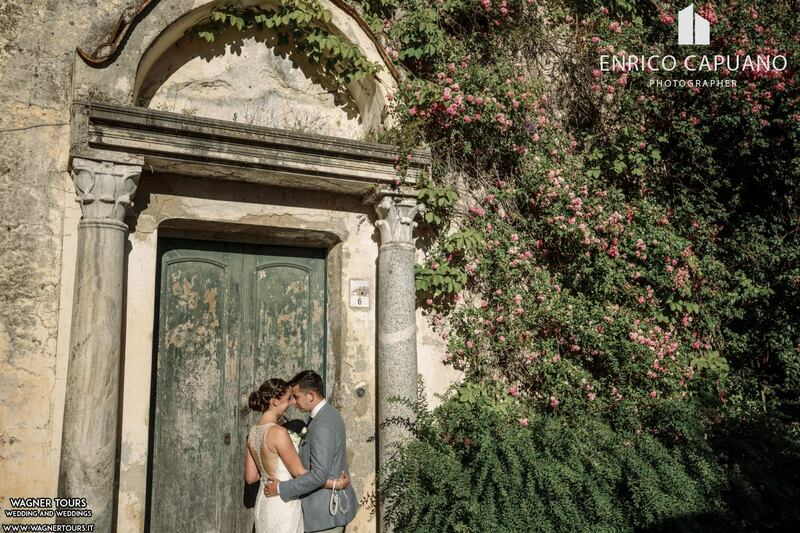 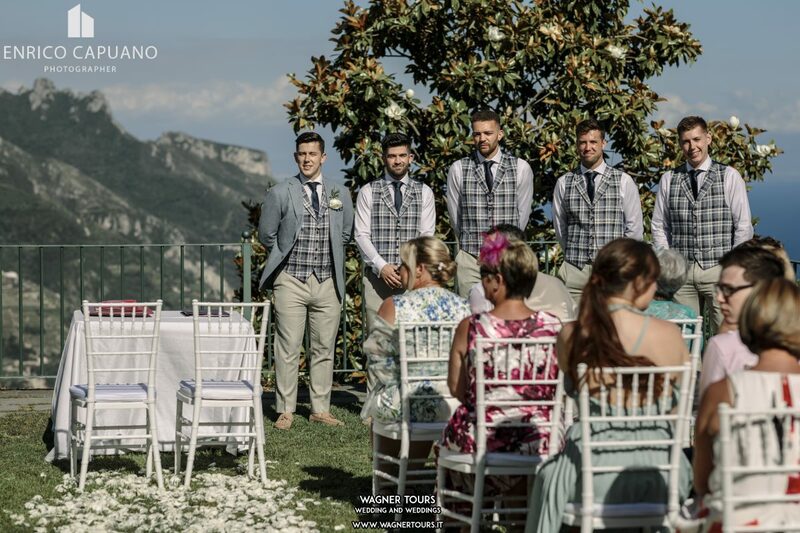 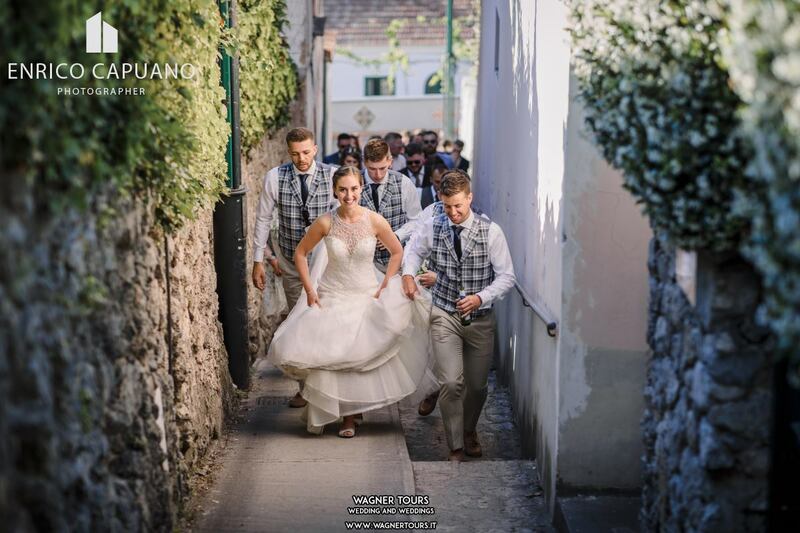 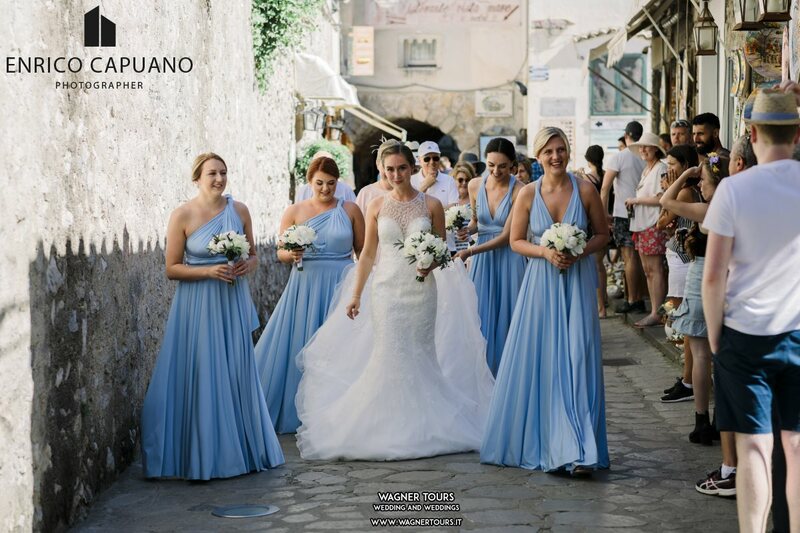 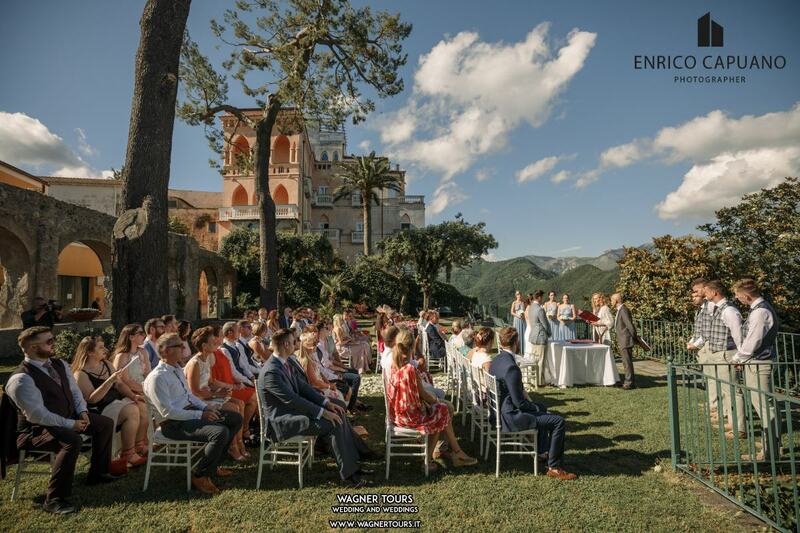 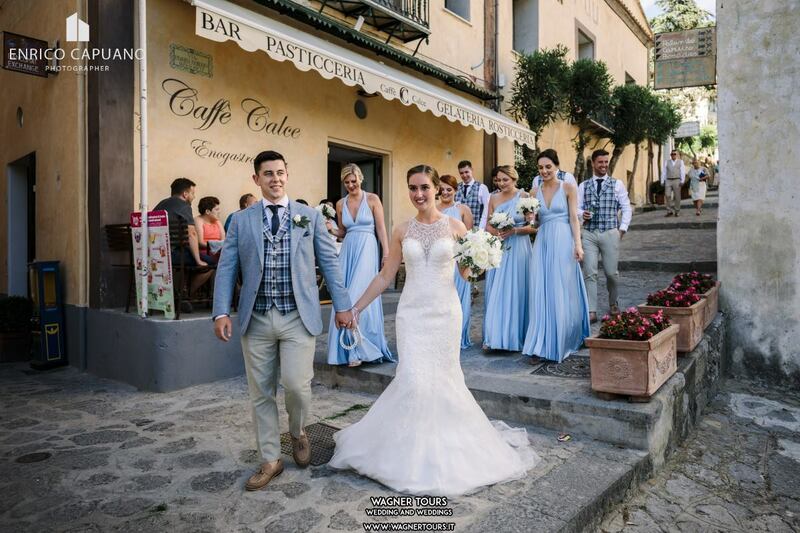 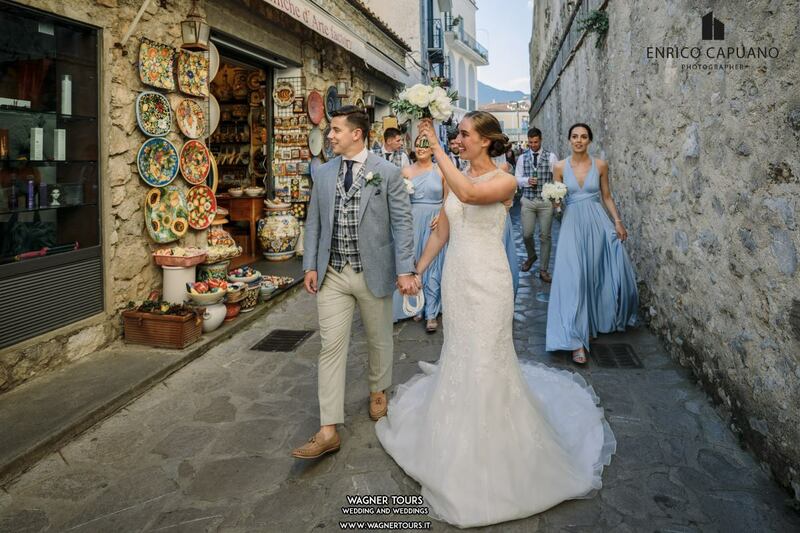 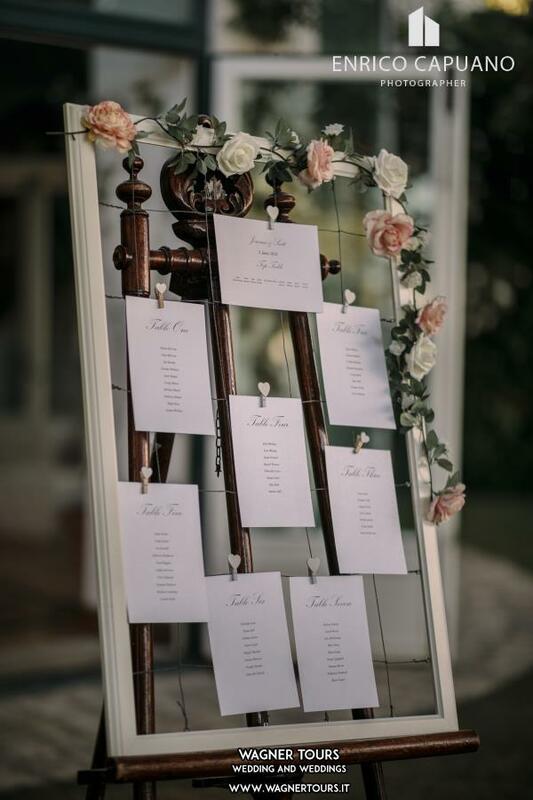 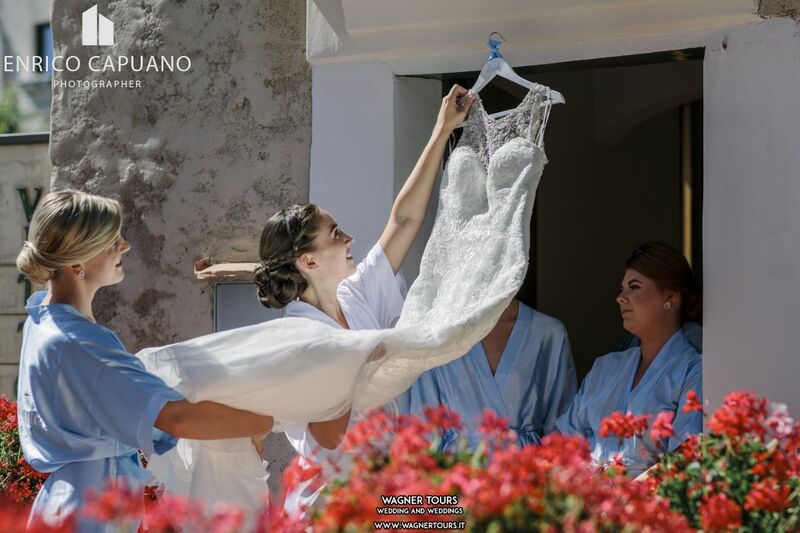 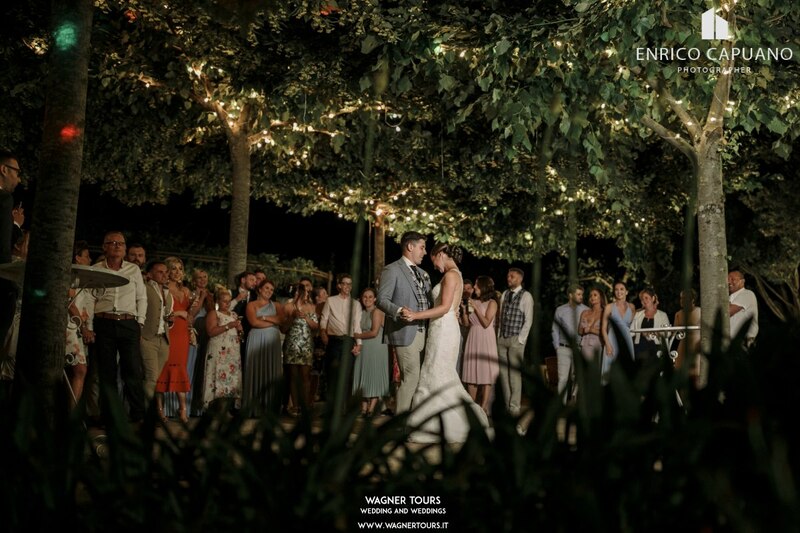 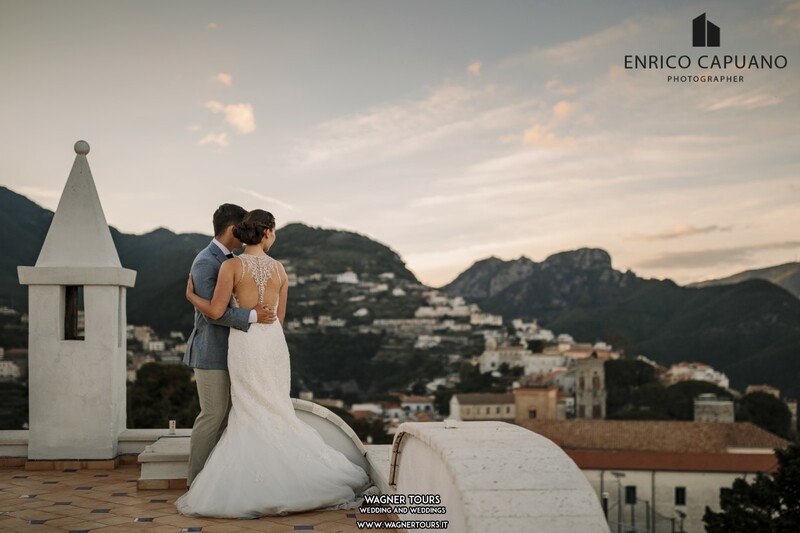 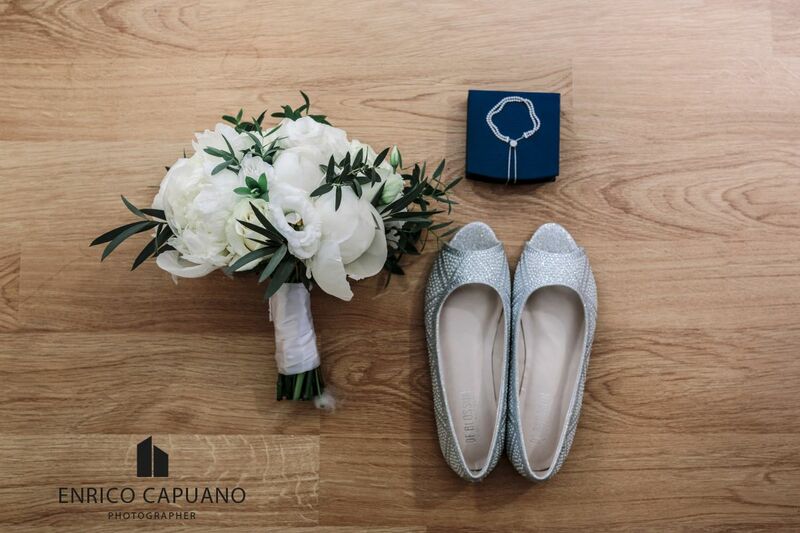 (Ravello is small but perfect for a wedding location) Also there we met our photographer - Enrico Capuano, Enrico was interested to see the styles etc that we wanted for our wedding which was perfect as everyone has different taste and it was great to meet him before! 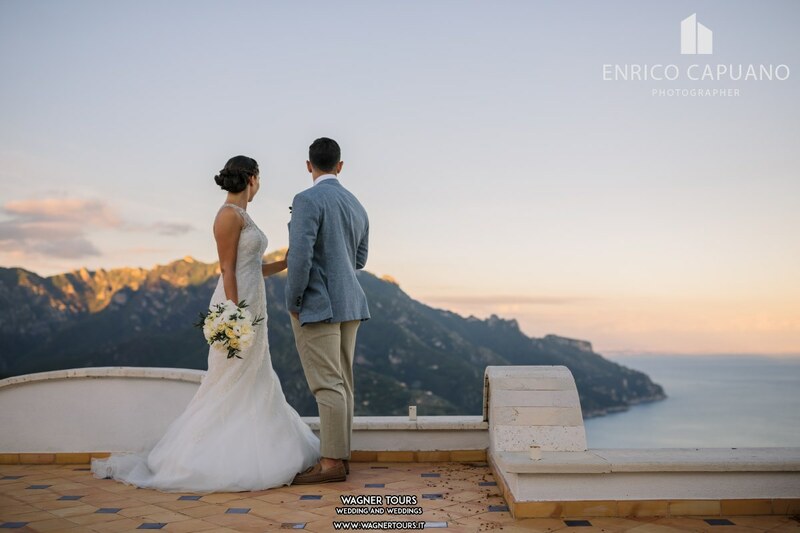 Enrico was extremely professional, very friendly and did an excellent job at capturing our special memories. 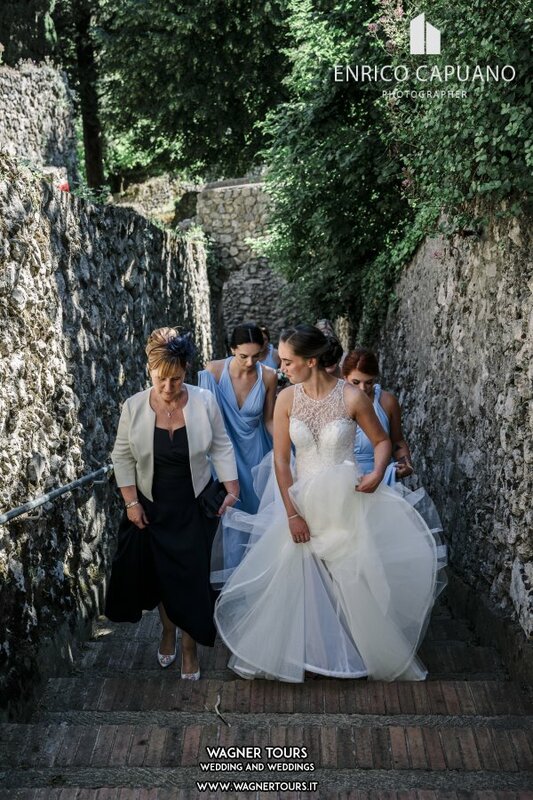 We have just recently received our pictures and they are perfect! 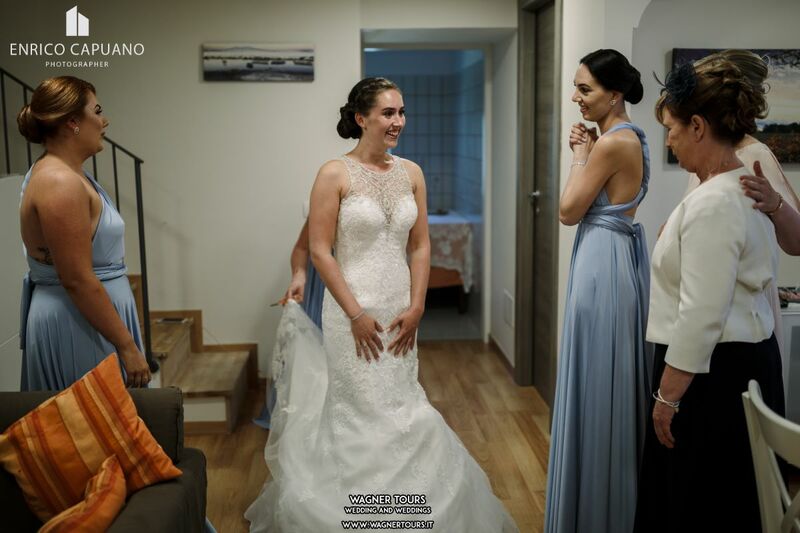 On the big day I honestly never felt any nerves or unease because I knew exactly how the day was going to go and it was perfect !!!!! 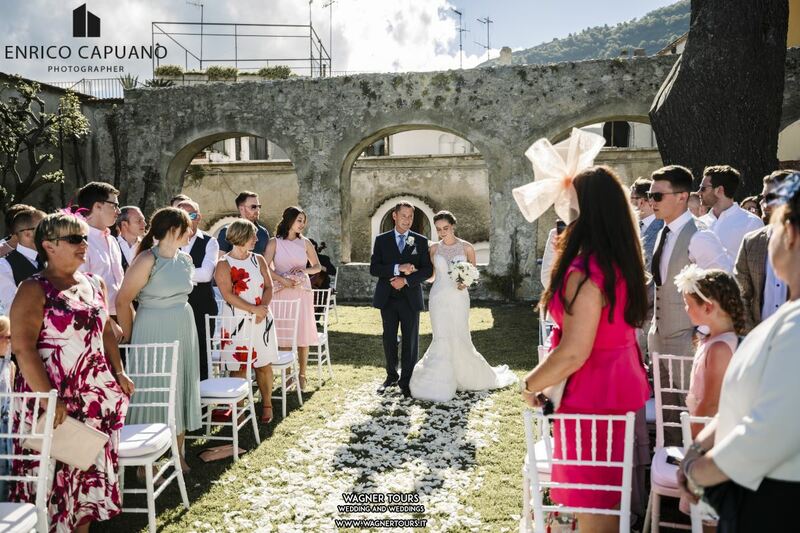 Also worth mentioning our videographer was Pier Canta who I also strongly recommend, attentive but invisible allowing us to enjoy ourselves whilst capturing the most perfect candid memories for us! 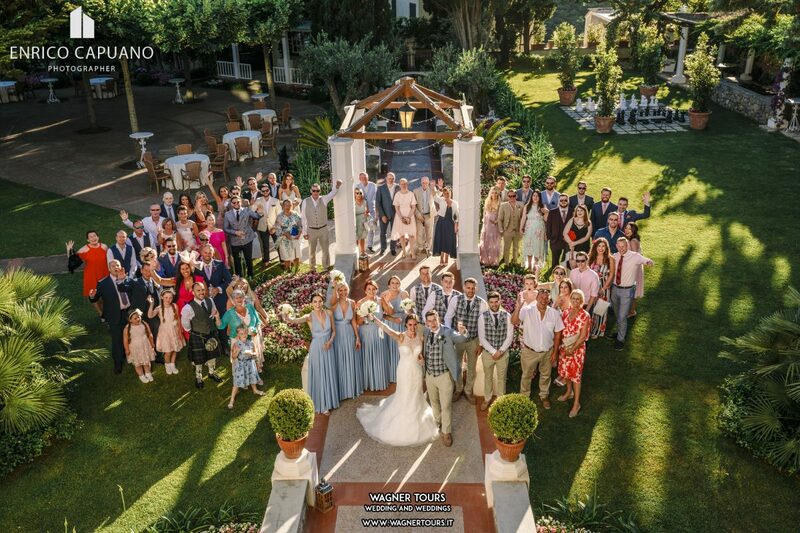 I cannot recommend Mario and his team enough as I personally think they are perfect in every way! 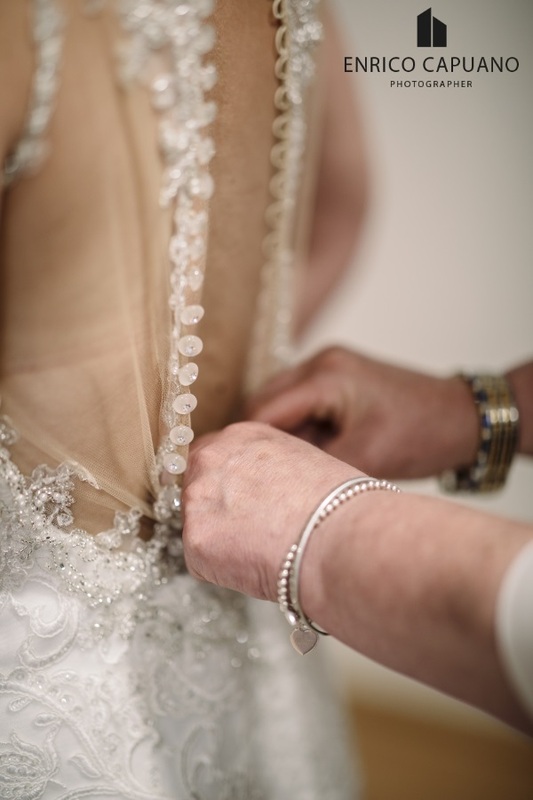 They make you feel like you are their only clients and go above and beyond any expectations. 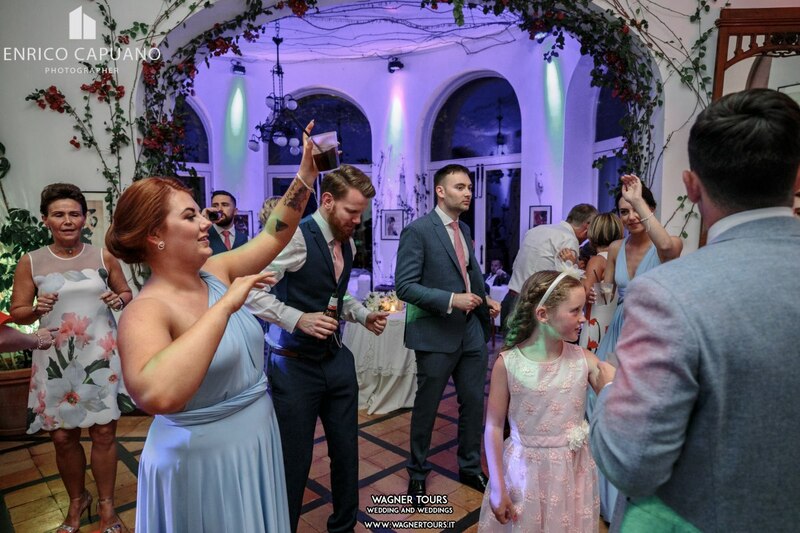 After our first dance me and my wife ( who had looked at 10000s of options for locations/planners etc) said that we literally wouldn't have changed a thing about the day. 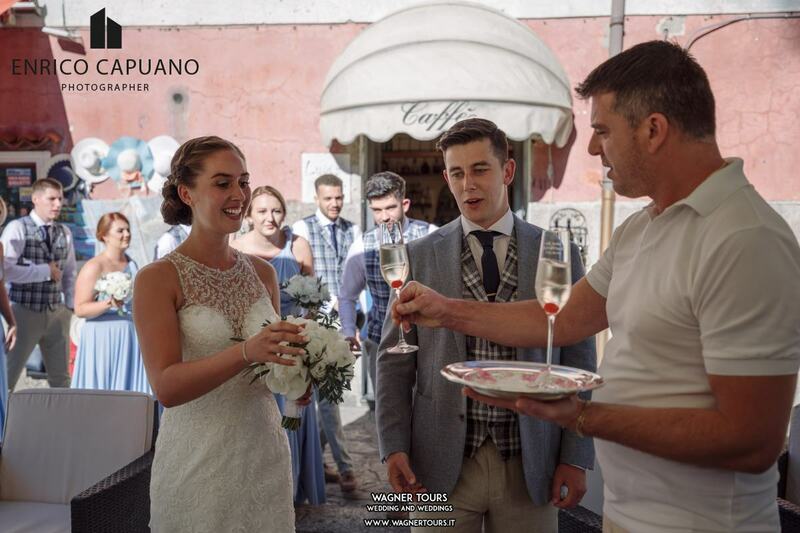 All of our guests said they had the most amazing time and also had huge praise for Mario as he also replied to them within hours (sometimes even minutes!). 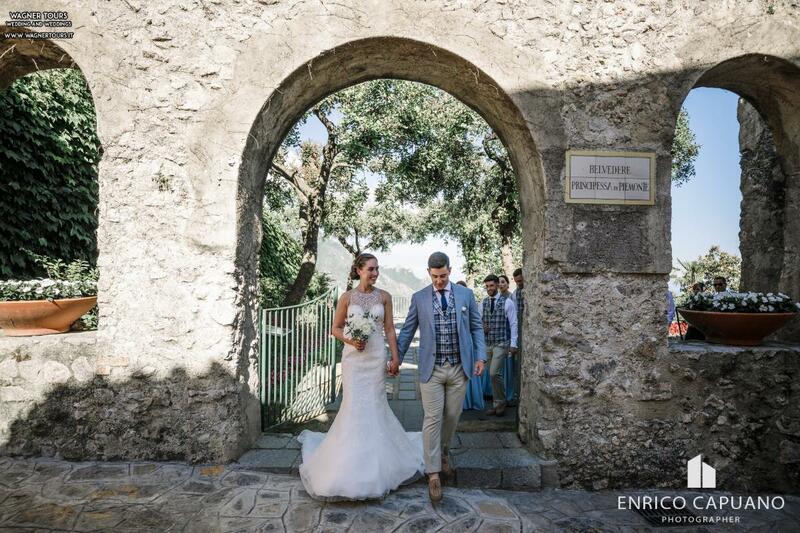 Thank you Mario, Annamaria, Enrico and Pier for literally making our day unbelievable and perfect in every single way. 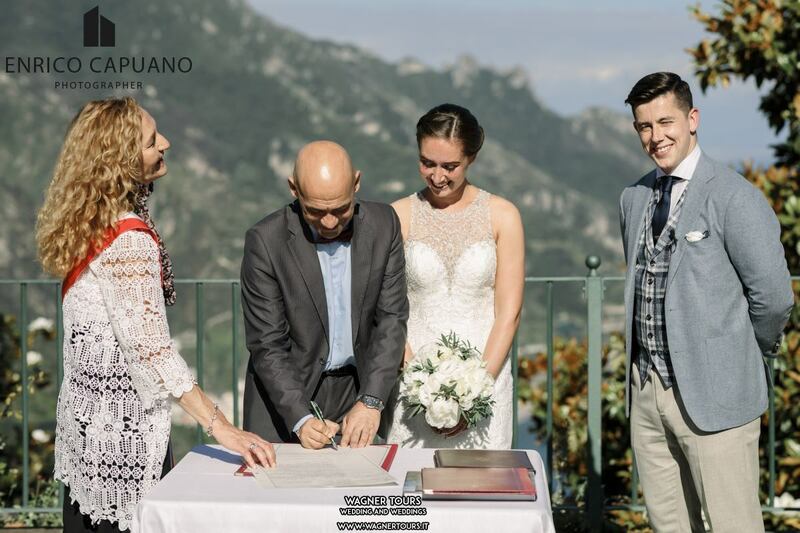 I think that speaks a lot for Mario and his team!